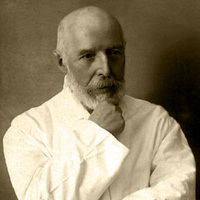 The scientific name of leprosy is "Hansen's Disease", named after the Norwegian doctor Gerhard Hansen, who in 1873 discovered the bacillus that causes the disease. The disease, which is known since ancient times, is causing skin damage and tissue loss, deformation of body parts, blindness, nerve necrosis of the skin. This anesthesia may cause injury which does not feel the individual and can lead to infections or amputation if not treated early. The disease infects various organs and ultimately the patient is led to death. The way the disease is spread has not been clarified. Most likely, from the contact and more easily when a sore point touches infected site of the leper. The close and frequent contact with people who are already infected surely increases the chances of transmission. In 1948, the first drug to treat leprosy was discovered in America and the disease is now considered as curable.